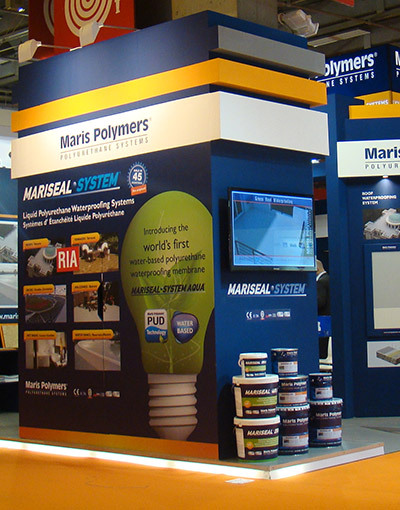 Maris Polymers is an independed, privately owned Polyurethane systems house and one of the leading European specialist in polyurethane liquid applied waterproofing products and cold curing polyurethane resins for Construction, Marine and Industrial applications. In addition, Maris Polymers proves technological leadership by offering a whole range of special solutions and customized products. Founded in 1989, Maris Polymers S.A. is one of the fastest developing manufacturers of polyurethane liquid-applied waterproofing membranes and resins in Europe. Its stable growth comes as a result from its innovative and quality products, its highly specialized personnel and the value-added services provided to its clients. Maris Polymers S.A. carries out international sales to more than 70 countries in Western Europe, Eastern Europe, Middle East, Africa, S.E. Asia and the Americas where it operates either by affiliated companies or through close cooperation with local distributors. In the markets of France, Germany and South East Asia the company operates under its affiliated companies Maris Polymers France Sarl, Maris Polymers Deutschland GmbH and Maris Polymers Asia Pty Ltd (Singapore) respectively. Maris Polymers delivers individual solutions worldwide from the production facilities in Athens, Greece. Reliability, focus on service and innovation are the values Maris Polymers lives by every day in its customers’ interest.